Enjoy an unparalleled blend of comfort and convenience at the 100 percent non-smoking Ramada Toms River, proud winner of the prestigious Ramada Presidents Award. 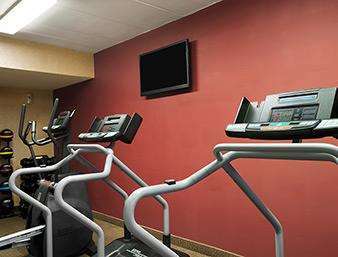 The Ramada Toms River is ideally situated near exit 88 of the Garden State Parkway, minutes from premier attractions such as Lakewood Blueclaws Baseball, the Ritacco Center and the beaches, boardwalks and amusement parks of Seaside Heights and Point Pleasant. This hotel is in close proximity to the High Performance Volleyball Academy located in Lakewood, NJ. Among our wide array of first-class amenities we feature a game room, fitness center and outdoor pool with a heated whirlpool-your oasis from the stress and strain of travel. We pride ourselves on offering every guest attentive service with a personal touch to complement our spacious, attractive accommodations. Enjoy classic American cuisine at Angles Cafe Grille and Lounge. When it is time for work, you will be pleased to find generous work desks, complimentary WiFi in all of our guestrooms and throughout the hotel, a 24-hour business center and professional catering services for meetings and special events of any scale. We also invite you to treat yourself to a stay in one of our executive suites.